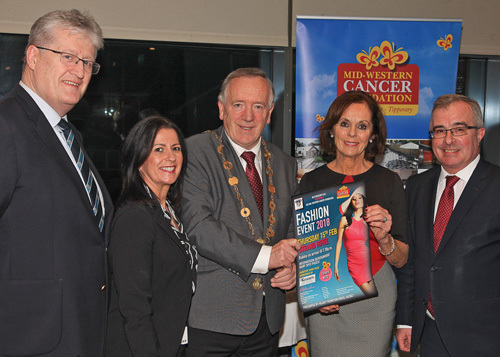 Old Crescent RFC and Mid Western Cancer Foundation to hold major Fashion Event in the Strand Hotel on 15th February! Old Crescent RFC in association with the Mid Western Cancer Foundation will hold a major Fashion Event in the Strand Hotel Limerick on Thursday, 15th February 2018, to raise funds for the cancer charity and for club development. The Fashion Event was officially launched in the Strand Hotel on Monday, 22 January, by the Mayor of Limerick City & County, Mr Stephen Keary, who congratulated Old Crescent RFC on their excellent season todate and on their contribution to Limerick rugby over the years. The Mayor wished the Club and the Mid Western Cancer Foundation well in their fundraising endeavours. The Old Crescent RFC / Mid Western Cancer Foundation Fashion Event will be presented by the Hilary Thompson Model Agency and fashion shops taking part will include Aisling Maher Milliner & Boutique, Isobels, Marc Cain, Lady Penelope, Catherine McCormack, Frocks & Frills , GrettaGibbs, Be Fabulous, Walk in Closet, I-Spy Clothing, Amore Mio , Bridal Designer, Caroline Mitchell, and Natalie King Designers. 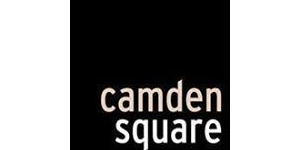 Menswear from Camden Square and Tailor of Blue, and Shoes from Nevil’s Shoes. Hair & Make-up by Catherine Hickey & her team, and Models from the Hilary Thompson Agency. 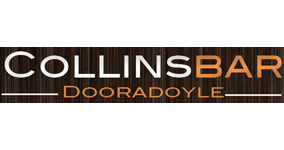 There will be a fabulous door prize sponsored by Keane’s Jewellers Limerick. Old Crescent RFC is currently riding high, unbeaten at the top of its Division in the Ulster Bank League, and the Club has ambitious plans to develop its facilities at Rosbrien. The Club purchased additional land adjoining the club, doubling the size of the club grounds, which will secure rugby at Rosbrien for club members and the wider rugby community for future generations. The Mid-Western Cancer Foundation was set up to provide holistic care for patients with cancer and to support cancer research in the Mid-West region. The Cancer Centre in Limerick provides a full range of services to patients with cancer. Funds raised by the Charity are used to better the Cancer Centre facilities and to make sure that the best treatment, services and cutting edge technology is available to Cancer Patients in the Mid West. At the Fashion Event launch, Tim Duggan, President of Old Crescent RFC, said “Old Crescent RFC has a long association with the Mid Western Cancer Foundation, and we are delighted to be teaming up with them again to help raise much needed funds for the cancer charity and for club development. Together, we look forward to having a fantastic Fashion Event in the Strand Hotel on 15th February”. Tickets €25 each are available from Old Crescent committee members and from the Mid Western Cancer Foundation, from Nevil’s Shoes, and from Peter Doyle 086 3861054 and Liam Keehan 087 0670609. Pictured at the Fashion Show Launch were, l-r, Tim Duggan President, Old Crescent RFC, Lisa Tracey, Mid West Cancer Foundation, Cllr Stephen Keary, Mayor of Limerick City & County, Hilary Thompson, Fashion Show coordinator, and Aidan Liddy, Keane’s Jewellers.